It has been a busy few days in the NBA and while Sunday only features 4 games, including today’s main tip Golden State Warriors @ LA Lakers, there will still be enough basketball betting action to look forward to. There is also plenty to look back on with a great number of teams involved on Friday and Saturday. The Bucks lost out on the road in Orlando on Friday night, the Magic clinching the win with a 101-85 win. The Nuggets got a great win on the road in Indiana with a 87-108 score line but it was the match between the Cavs and the Celtic that grabbed most of the headlines. The home fans in Boston were left stunned when a LeBron James inspired final quarter left the final score standing at 121-122. The Hawks saw off the Heat by a score of 114-103 and the Jazz grabbed a narrow win in New York, defeating the Knicks by a score of 100-102. The Pistons were another team to win on the road, defeating the Thunder by a score of 89-96, while the Rockets managed to secure a narrow home win by defeating the 76ers by a score of 88-87. The Pelicans had a massive home win against the Timberwolves, winning 139-91 while the Suns slumped to a 95-103 defeat at home to the Hornets. The San Antonio Spurs also continued their return to form, but this win should be tempered with the fact that it came against the hapless Los Angeles Lakers. The reigning champs grabbed a 80-92 win to wrap up the Friday night action. There was plenty more NBA action to enjoy on the Saturday with the Wizards defeating the Magic 98-93. The Cavaliers thumped the Hawks by a score of 127-94 while the Raptors showed that they have staying power by defeating the Jazz by a score of 111-93. The Pacers grabbed a win in Chicago by a score of 90-99, which was to be the only away win of the day. 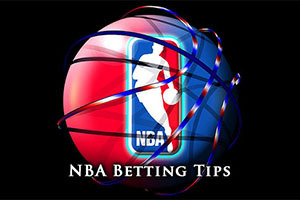 The Grizzlies defeated the Pistons by a score of 95-88 while the Mavericks beat the Timberwolves by a score of 131-117. The Trail Blazers had a 97-87 win over the Nets while the Kings had enough in their locker to see off the Spurs by a score of 94-91. The Warriors beat the Hornets by a score of 112-87 and the Clippers saw off the Suns by a score of 120-107. The Nuggets 2-6 record isn’t that impressive but it is at least better than the 2-8 record currently held by the New York Knicks. Carmelo Anthony is beginning to find his form and he will be keen to taste victory against his former team. With Anthony averaging 23.5 points a game, more than the combined efforts of the next two New York players, Iman Shumpert with 12.4 and Amare Stoudemire with 10.9, it is clear that a lot of responsibility lies on the shoulders of Anthony. He was an integral player in the Friday night game against the Jazz, grabbing 46 points and scoring the last 11 points of the game for the Knicks but a buzzer shot was enough to clinch a win for the Jazz. The Nuggets had a far better time of it on Friday night, defeating Indiana by 108-87 with Ty Lawson serving up a double double. Arron Affalo led the way with 17 points and in total, 7 Nuggets players managed to break double figures, so unlike the Knicks they are managing to share the points around the team. Both teams have lost more games than they have won this season, considerably so, but the Nuggets are offering up more form, so taking them at +1 with odds of 1.90 will be a sensible way to start your Sunday betting activities. Bet Now! The Bucks are sitting with a 4-5 record while the Heat have a 5-4 record so there isn’t a great deal to choose between these two sides going into match. The Bucks are not giving up many points, and with the Heat grinding through their games at the moment, this has the makings of a match that is intriguing to watch, but without too many points on the board. Mario Chalmers grabbed a season high of 23 points and 11 assists in Friday night’s loss to the Heat but he was quick to point out that the whole team needs to be sharper with respect to rebounds, a comment borne out by the fact that the Heat are averaging 36.7 rebounds, which is one of the lowest levels in the league at the moment. The Heat may be going into this match with Dwayne Wade who missed Friday’s game with a hamstring injury. While the Bucks defence is gaining a lot of praise, Brandon Knight grabbed 24 points in Friday night’s loss to Orlando, which was the 19th game in a row that he achieved double figures. If he can make it 20 points, the Bucks fans will be hoping that they join their opponents on a 5-5 record by the end of the night. This tip is the close call of the night, but a conservative point spread bet on the Bucks at +10 with 1.40 odds would have a good chance to turn out profitable for you. Bet Now! James Harden had an excellent performance in the win over Philadelphia on Friday night, matching his season high of 35 points. A similar performance in this game will be more than enough for the Rockets to go 9-1. The Thunder slipped to a 2-2 home record with the OT loss to Detroit on Friday night but Jeremy Lamb, with 24 points and Reggie Jackson, with 20 points, were on fire. Sadly for Jackson, he missed a potential game winning shot at the end of regulation time, but his efforts throughout the match played a big role in keeping his team in the game. With the Rockets holding a 8-1 record and the Thunder sitting with a 2-7 record, there is an expectation that the Rockets will grab a strong win on the road, and with odds of 1.90 for the Rockets at -5, you should be looking to get involved with this action. Bet Now!